Special primitive weapons deer hunts are established pursuant to the authority granted the Commission in Sections 49-7-37(2), (3), & (4), Mississippi Code of 1972. All archery and primitive weapons hunters must wear hunter orange while these special hunts are in effect. This season is for Antlerless Deer Only on private lands. Legal weapons are primitive weapons. This hunt is not on MDWFP Wildlife Management Areas. When hunting deer during any firearm season, every hunter, whether hunting with a firearm, bow and arrow, or any weapon, must wear in full view at least five-hundred (500) square inches of solid unbroken fluorescent orange, except as otherwise provided in this section. Mesh-style or orange-camouflage is not considered unbroken and does not count toward the five hundred (500) square inch minimum. Hunting in a fully enclosed blind. It is the intent of the Commission that “fully enclosed blinds” are tripod type stands, ladder stands, blinds and/or “shooting houses” or any other stand, whether located on the ground or elevated above ground, that can be covered so as to hide the hunter from view of game or other hunters. The U.S. Fish and Wildlife Service, and U.S. Army Corps of Engineers managed lands which designate the youth deer season in their regulations and open U.S. Forest Service National Forest lands are authorized to provide youth hunting opportunities. The U.S. 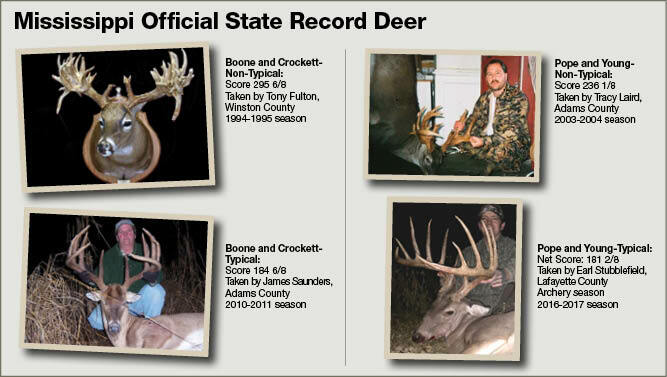 Fish and Wildlife Service, U.S. Army Corps of Engineers, and U.S. Army managed lands are authorized to harvest antlerless deer on days designated by Federal Regulations. Contact local National Wildlife Refuge, Corps of Engineers, or U.S. Army for details.